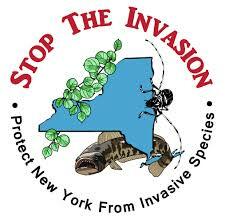 NYS Invasive Species Awareness Week is July 10th-16th this year. What will you do to help? You are here: Home / District News / NYS Invasive Species Awareness Week is July 10th-16th this year. What will you do to help? New York is celebrating its third annual Invasive Species Awareness Week July 10-16, 2016! Invasive species affect all New Yorkers – including hikers, highway personnel, birders, boaters, farmers and foresters. The mission of the New York Invasive Species Awareness Week (ISAW) is to promote knowledge and understanding of invasive species and the harm they can cause by engaging citizens in a wide range of activities across the state, and empowering them to take action to stop the invasion!